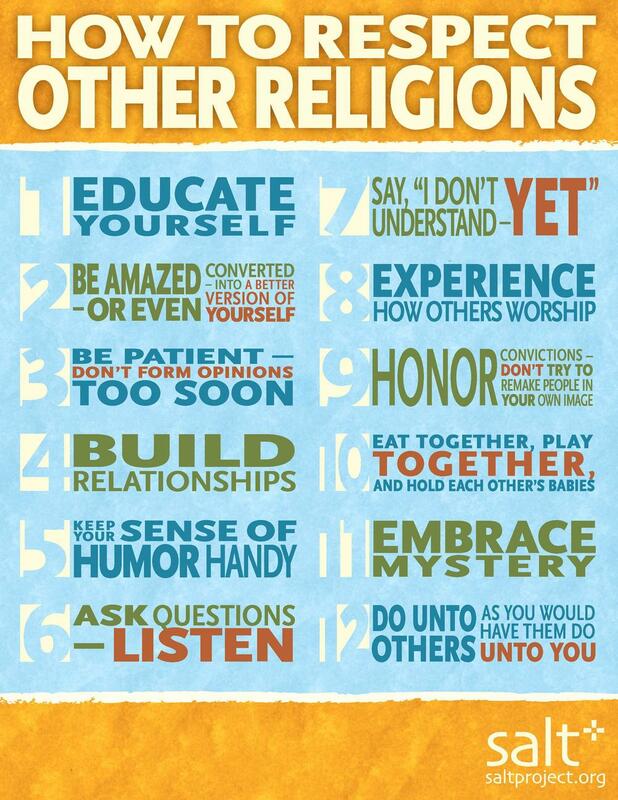 Ahhhhh, another SALT original, "Twelve Ways to Respect Other Religions!" Print them up, memorize them, live them, love them, give them out at church on Sunday, give them out on street corner on Monday, retweet, repost, or pin them up on Pinterest. Love and respect are what we are called to do as Christians - let's get the word out and get to work! A big SALT "thank you" to Becky over at Questionably Late for inspiring the design of this sunny, sassy, and smart printable!